The new medical campus, expected to be completed in 2019, will be located on the 27.5 acre McNair campus of Baylor St. Luke's in Houston, TX and will include a medical school, a cardiovascular research institute, and a hospital. Researchers and physicians from the Baylor College of Medicine and Catholic Health Initiatives will work in collaboration in the facilities located on this campus. Wayne Keathley, President of Baylor St. Luke's explained that “physicians and scientists will work together on one integrated campus that creates a state-of-the-art infrastructure for advanced patient care, basic and translational science, and education. 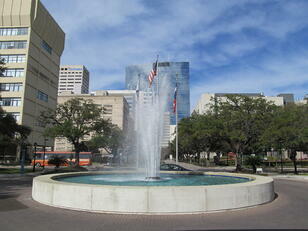 This establishes a unique and best-in-class environment unlike any other institution in the Texas Medical Center." This expansion project is being performed to assist Baylor St. Luke's in exceeding current healthcare industry standards. Scientific research, education and implementing innovative treatments and care are important to Baylor St. Luke's. “The relationship among Baylor College Medicine, Baylor St. Luke’s, and Texas Heart Institute represents an important collaboration in academic medicine with the opportunity of accelerating translational research to patient care,” explained Paul Klotman, MD, President, CEO, and Executive Dean of the Baylor College of Medicine. 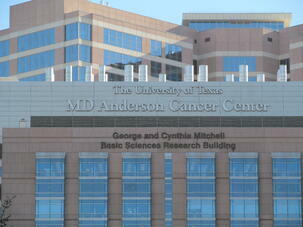 Baylor St. Luke's isn't the only research facility expanding in Houston. The Memorial Hermann-Texas Medical Center is also undergoing an expansion project expected to be completed in 2019 as well. This $650 million project will add many new facets to the facility and provide an additional 1.34 million square feet of building space, bringing the total area of the Memorial Hermann campus to 3.84 million square feet and will provide more space for researchers to advance capabilities of medicine and health research. Biotechnology Calendar, Inc. holds an annual BioResearch Product Faire™ Event in Houston that gives lab suppliers the opportunity to meet with over 450 active life scientists in the thriving Houston research marketplace. The 16th Annual BioResearch Product Faire™ Event at the Texas Medical Center in Houston, TX will be held on January 22, 2016.